12 Şubat 2019 Salı 19:00 - 6 reads. 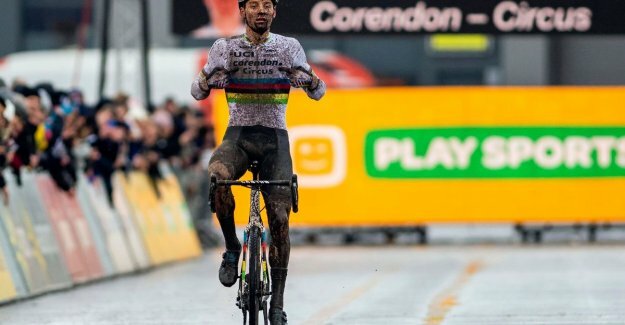 Cyclocross For Roland Liboton is Mathieu van der Poel already the best cyclocross rider of all time. As a result, we launched yesterday a new poll: who is the best crosser ever? The answer of the HLN-surfer, is clear: Van der Poel. “I want to be Sven Nys, Erik De Vlaeminck or myself not to do injustice to. We were also rock-solid crossers,” said Roland Liboton in Wielerflits. “But what Mathieu does, is alien. What concerns me may you him now for the best cyclocross rider of all time.” Find so also the surfers of HLN.be. As evidenced by our poll. Van der Poel got less than 62% of the vote. Nys (26%) was at a safe distance second. The Vlaeminck (6%) and Liboton (4%) followed a bit further. In total, there are more than 4.450 times voted.